With Blade Runner 2049 hitting theaters in just under two weeks, Ryan Gosling has started doing press for this highly-anticipated Blade Runner sequel. Ryan Gosling revealed in a new interview that he did have some trepidation about signing on to a project like this, especially given how iconic the original film was. But, he stated that all of his fears went away once the script came in. Here's what the actor had to say below. "I was fortunate enough to have gotten to meet with Ridley and talk to him about it first while he was writing it (Blade Runner 2049 script). So I knew that it was something he not only approved of but was actively involved in. And Hampton Fancher, the original writer, was also working on it with him so that was a good sign and then they sent it to Harrison when they were finished. He loved the script, so all my fears were gone, because who am I to say to them that this is not how the film should go? You know, they all felt that this is where the story would've led and I felt very excited to be a part of it." The actor shared his thoughts about the script in an interview with At the Movies Malaysia, as we get closer and closer to the October 6 release date. The actor was also asked if there was a particular moment after reading the script where he knew for sure that he wanted to star in this film. 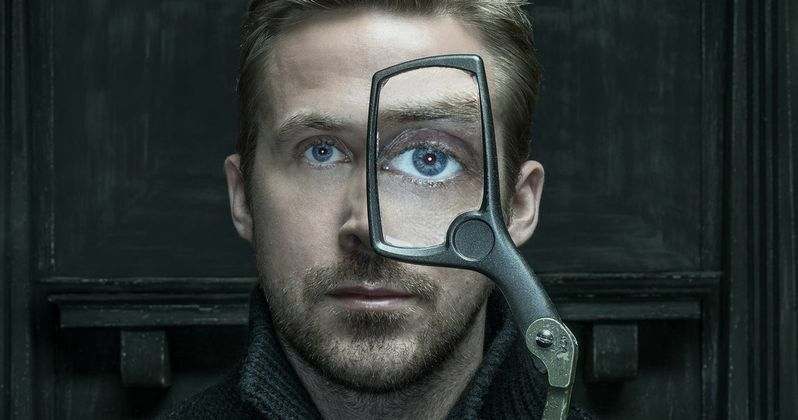 Ryan Gosling said there was certainly more than one moment that stuck out that made him want to make this Blade Runner follow-up. Here's what he had to say below. "There was a lot of those moments. If it's not Harrison, or Ridley or Denis, it's (cinematographer) Roger Deakins, you know. It's an incredible opportunity to work with so many incredible people, but also just the universe of the film. It's such a rich universe that you long to enter when you're watching the film, so to get to inhabit it and help to tell that story, it was very exciting." In Blade Runner 2049, Officer K (Ryan Gosling), a new blade runner for the Los Angeles Police Department, unearths a long-buried secret that has the potential to plunge what's left of society into chaos. His discovery leads him on a quest to find Rick Deckard (Harrison Ford), a former blade runner who's been missing for 30 years. This highly-anticipated movie will be going up against Lionsgate's My Little Pony and 20th Century Fox's The Mountain Between Us when it hits theaters October 6. Take a look at Ryan Gosling's full video interview below for Blade Runner 2049.